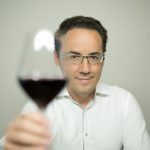 (THE GLOBE AND MAIL) Raise a glass to François Chartier, a Quebec wine expert who has authored one of the world’s best cookbooks. And that’s official. Chartier took a top prize at the 2016 Gourmand World Cookbook Awards, an international competition known as the Oscars of cookbooks, which took place in China last May. His latest title – L’Essentiel de Chartier – L’ABC des harmonies aromatiques à table et en cuisine – took the top award in the innovation category, and it’s no wonder. His molecular approach to food and wine pairings have put gastronomy on the level of scientific research.